University of Rhode Island, M.A. 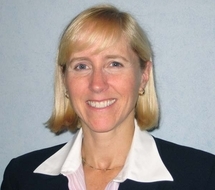 Leanne Bateman, MA, PMP, CSM, Six Sigma Green Belt, CIP is the Academic Program Chair of the graduate-level Project & Program Management program at Brandeis University, where she also serves on the faculty. Leanne is the Principal Consultant with Beacon Strategy Group, a Boston-based management firm specializing in project management services. Leanne has 20+ years of project management experience across the areas of health care, biotech/pharmaceuticals, information technology, high-tech manufacturing, human resources, construction, housing/real estate, government, and higher education. Leanne is a certified Project Management Professional (PMP), a certified Information Professional (CIP), and a certified Scrum Master (CSM) and a Six Sigma Green Belt. Leanne is a member of the Project Management Institute (PMI), the American Society for the Advancement of Project Management (ASAPM), the International Project Management Association (IPMA), AIIM: The Global Community of Information Professionals, and the Scrum Alliance.